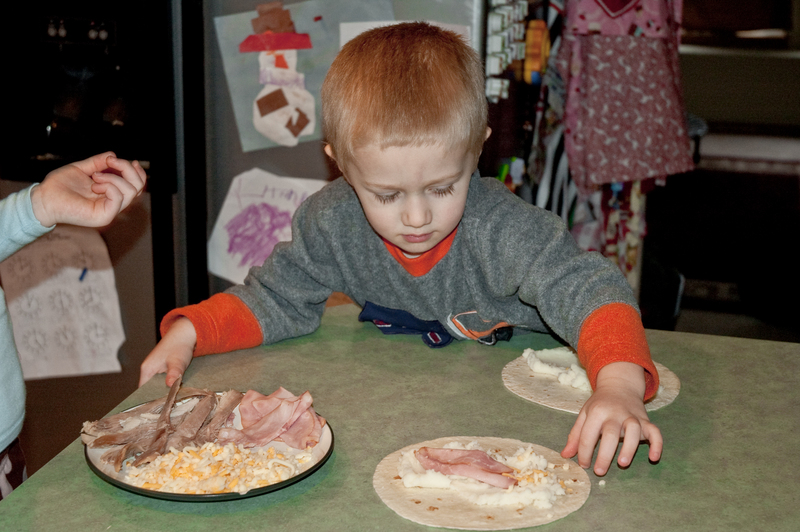 My kids LOVE tacos, quesadillas, burritos…all things tortilla. So, when I was given this recipe to make and review, I knew I could turn it into a winner with my kids. 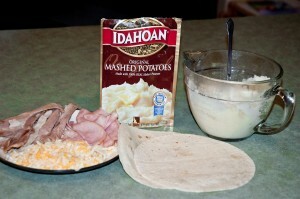 We made Idahoan’s Savory Tortilla Wraps today for lunch, and I hope you will make them soon too! 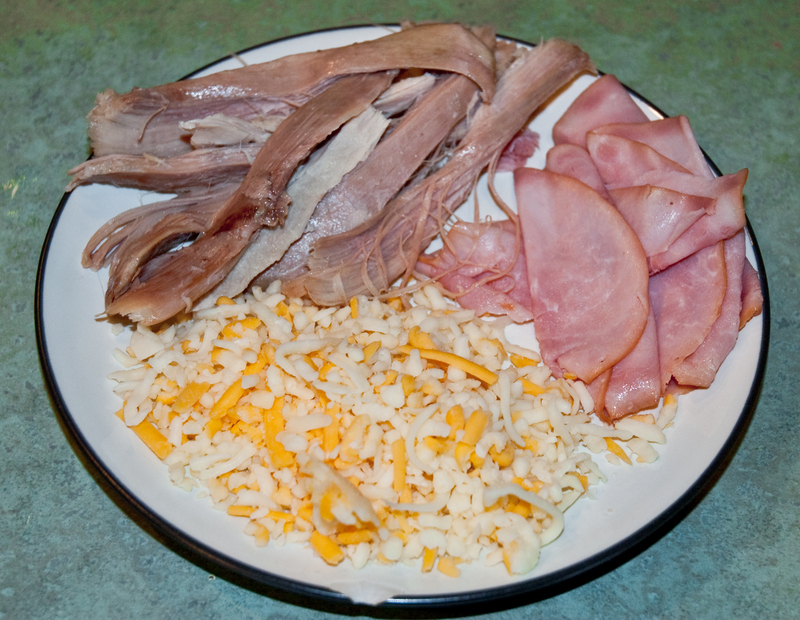 Here is what you will need to make this tasty and quick lunch! 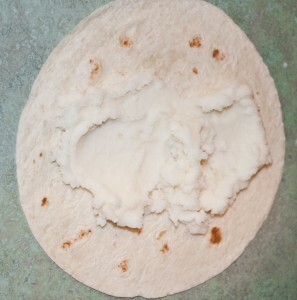 Warm tortillas individually in microwave for 8-10 seconds. 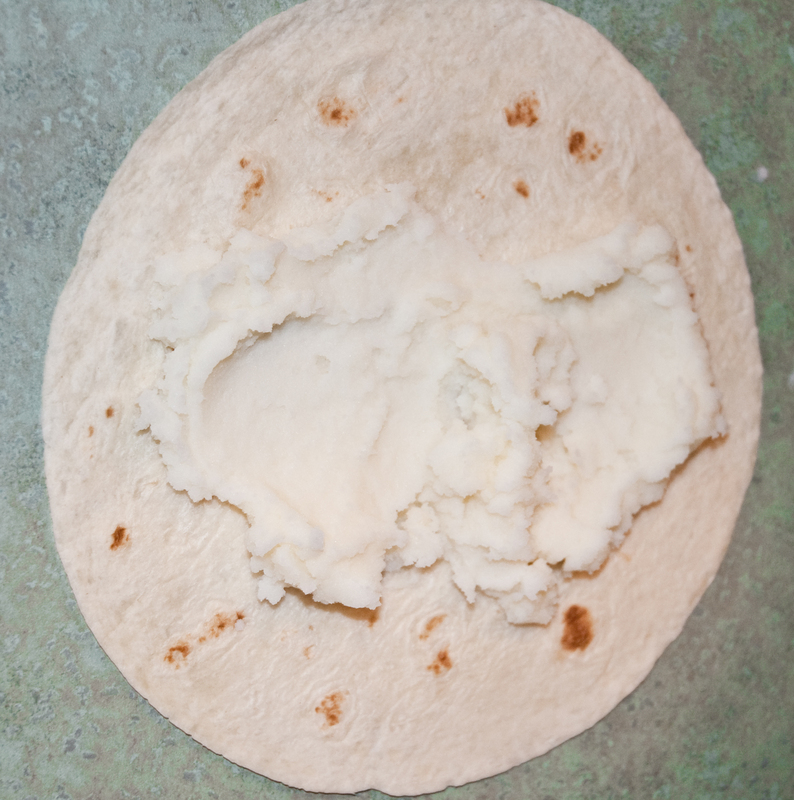 Spread each tortilla with 1/4 cup mashed potatoes. Idahoan recommends filling your wrap with shredded lettuce and diced tomato or bell pepper. Sounds great to me! I also think grated carrot would be a great addition to your wrap. (Since I made these for my children today (who are not big veggie fans), I chose not to put out the vegetables. 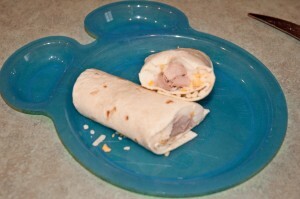 However, with these wraps, I think there are a variety of veggies and fillings you could add! Top your tortilla with 2 slices of turkey or ham, 1/4 cup shredded lettuce and red pepper or tomato (or your filling of choice!). Roll up and place seam-side down. My kids absolutely LOVED making their own wrap, and thought having a “mashed potato taco” was really fun. Giving your child healthy choices like lean protein and 100% real potatoes is an awesome way to show you care, and will help keep your kids healthy and happy! 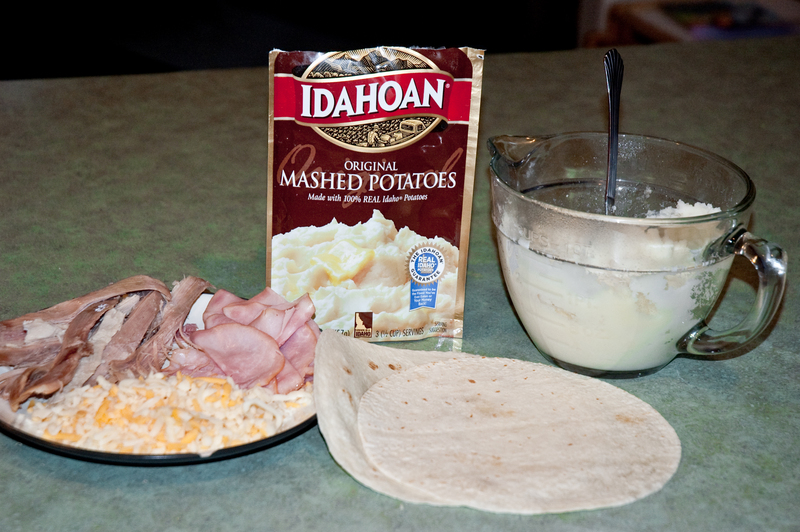 Here is one of our finished Idahoan Savory Tortilla Wraps! Doesn’t it look GREAT?! 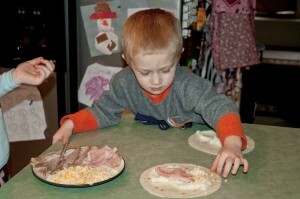 I hope you will try these potato wraps with your kids or family soon! 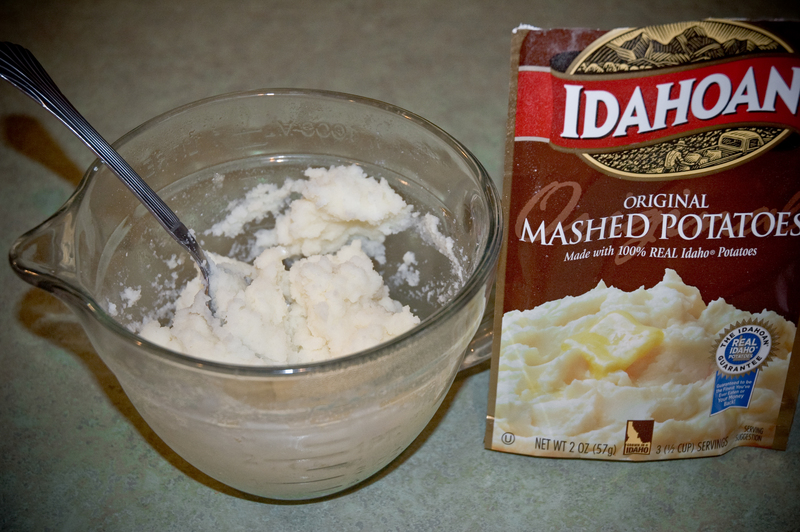 I encourage you to check out Idahoan’s full line of potato products! They are quick, easy, and delicious, and a great addition to any meal! I will be posting the winning recipes and more great recipes from Idahoan on my facebook page! 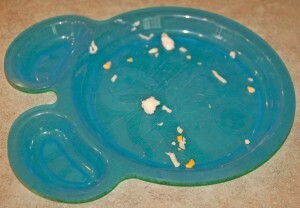 Make sure to “like” Chasing Supermom so you don’t miss out! Click here to stay informed and become a fan: I LIKE Chasing Supermom! I am here from “Wonder Wednesday Blog Hop”. I bet they would be good with any of the Idahoan Flovors as well. Picky kids might like the Original Mash, however I know mine love the different flovors. Ooooh….I bet they could each make a differnt flovor with the single packs.